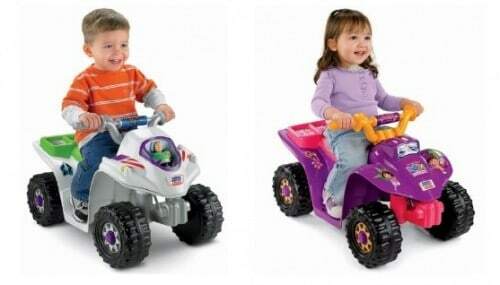 Save 27% on Power Wheels 'Lil Quad Ride-on Toys, Free Shipping! Save 27% on Power Wheels ‘Lil Quad Ride-on Toys, Free Shipping! The Fisher-Price Power Wheels Disney/Pixar Toy Story 3 Lil' Quad and the Power Wheels Dora The Explorer Lil' Quad are on sale for $75.00 each at Amazon right now. That's 27% off the list price of $102.99!